The CW and CW Seed unveiled Freedom Fighters: The Ray in August 2016, announcing the show would debut in 2017 as part of The CW's online streaming service. Like the other "Arrowverse" animated webisode series Vixen, Freedom Fighters: The Ray will delve deeper into the world established by the hit live-action series Arrow. The online animated series debuted in December 2017. Initial details, released in 2016, can be viewed below. 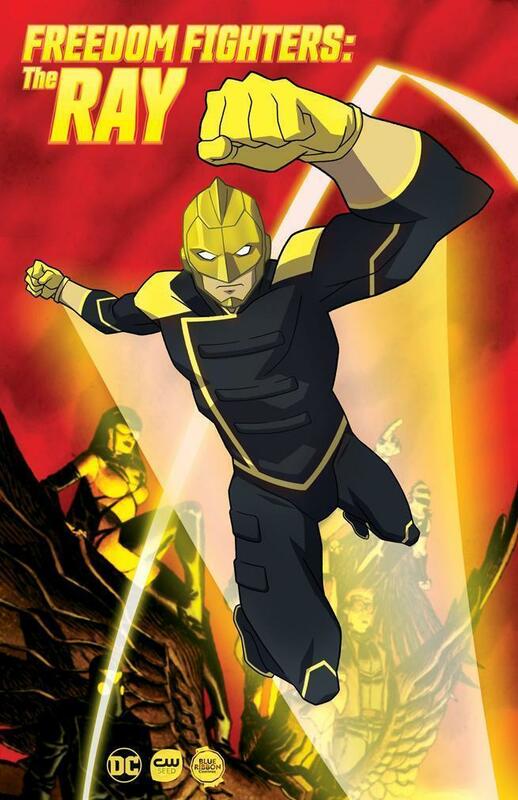 CW Seed, the digital channel of The CW Network, will debut a new animated series in 2017, Freedom Fighters: The Ray, based on the characters from DC and produced by Warner Bros.’ digital studio Blue Ribbon Content. In DC's Multiversity series, writer Grant Morrison updated the Freedom Fighters to better reflect American demographics. Inspired by Morrison’s new take on the character, the series Freedom Fighters: The Ray will introduce the first gay Super Hero to lead a show. Based on the characters from DC, Freedom Fighters: The Ray is from Berlanti Productions in association with Blue Ribbon Content, with executive producers Greg Berlanti (Supergirl, The Flash, Arrow) and Marc Guggenheim (Arrow, DC's Legends of Tomorrow). Select coverage of this series is available at The World's Finest. Additional details on Freedom Fighters: The Ray can also be found at The DC Animation Forum.